These veggies have some incredible benefits. In this article, you’ll see exactly why Allium vegetables are so good for us (for most of us, anyway). And you’ll learn easy ways to get more of them in your diet. Once upon a time, according to an old Jewish folktale, a man heard from a traveler about a wealthy kingdom that didn’t use onions in their cuisine. In fact, they had never seen or heard of the tasty bulbs! The enterprising man packed a cart with onions and traveled to the kingdom. And when he arrived, he presented the onions to the king. The king loved them. And he rewarded the man by filling his cart with gold. Upon his return to his own village, the man told his neighbors what had happened. One of them reasoned that he could make even more money by introducing garlic to this kingdom. After all, garlic is even more pungent and delicious than onions! The neighbor’s intuition proved correct. The king adored garlic and proclaimed it the best tasting food he had ever eaten. Mere gold wouldn’t adequately compensate for this delicacy. Instead, he sent the man home with the greatest treasure his kingdom could supply: a cart full of onions! This story tells us a lot about the human love of Alliums: a unique family of plants that are widely used in both traditional medicine and everyday food. Even if you haven’t heard the term “Allium” before, you’re probably more familiar with these vegetables than you think. And you probably eat the most common ones, onions and garlic, pretty often. Me? I eat Alliums almost daily. I love them almost as much as that folktale king! All(ium) in the Family — What Are the Allium Vegetables? The word Allium is Latin for “garlic.” But the Allium family includes onions, garlic, leeks, scallions, chives, and shallots. Below, you’ll find more about the history and uses of some of the most popular Alliums. Humans have used garlic for thousands of years. Even the Bible and early recorded history mention garlic. Garlic and its extracts have been used to treat a variety of conditions. These include leprosy, deafness, earaches, gastrointestinal problems, parasitic infections, and fevers. Today, garlic is most popular as a seasoning that provides a strong aroma and flavor. When you buy or eat garlic, it’s usually the clove or bulb. But did you know that you can also eat the green shoots (called scapes) that grow off of the cloves? You can find garlic in whole bulb form, in cloves, as a paste, minced in a jar, or ground into powder. Onions may be a household staple today, but in the past, people viewed them with reverence. Ancient Egyptians worshipped them. They even buried onions with pharaohs, believing that their round shape and internal rings were symbolic of eternity. 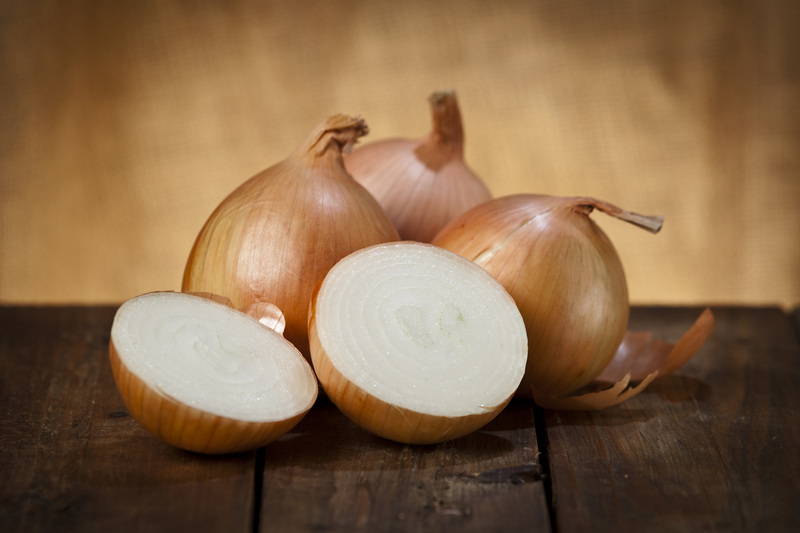 Onions were also once used as currency in the Middle Ages to pay for things like goods and rent. Onions come in a variety of colors and sizes. And they have a huge range of uses in cooking. You can find red, white, yellow, pearl, and sweet onions in many grocery stores. Most are inexpensive and shelf-stable when kept in cool, dry places. Chives are some of the hardiest Alliums and are a variety of onion. Sometimes, I forget I planted them until they pop up — usually even more densely — in my garden the following year. And if you don’t remember to cut them down in the fall, they’ll start growing beautiful purple flowers and lose some of their pungency. These flowers — called chive blossoms — are edible and great on salads. 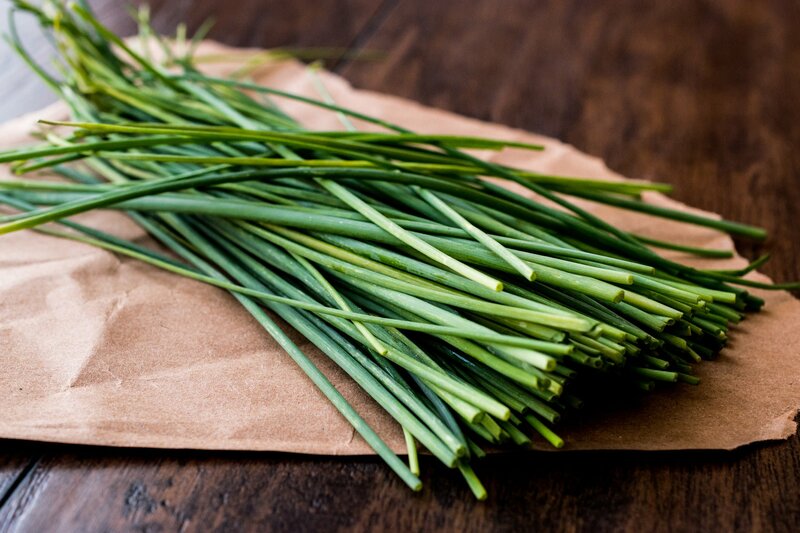 Did you ever pick chives straight from the garden and chew on them as a kid? I did, and while the taste was a bit sharp, it was also memorable. 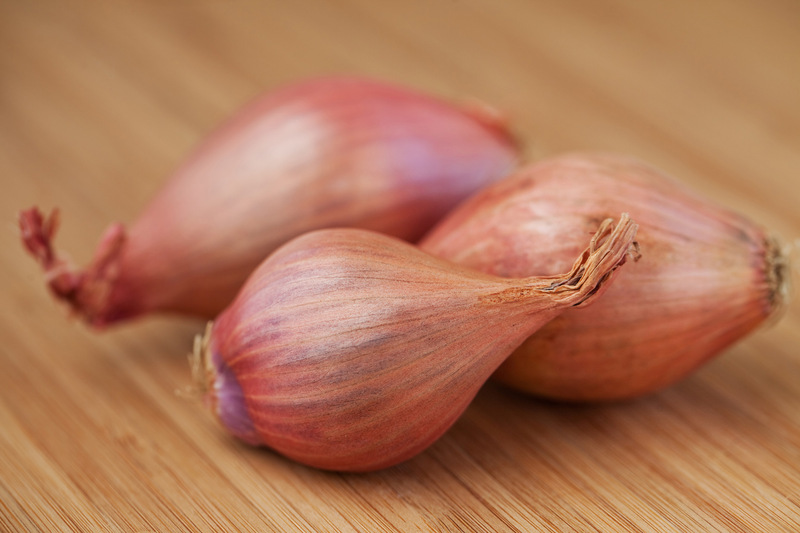 Shallots are sometimes considered gourmet onions, which is often reflected in their high price at the grocery store. Shallots have the botanical name ascalonicum. And they get their name from Ascalon, an ancient Palestinian city. Shallots didn’t get much recognition on their own until 1963 when they were subcategorized apart from onions. Scallions are also known as green onions and spring onions, Welsh onions, or Japanese bunching onions. They’re popular all over the world but are native to Asia. Scallions are long, skinny, green onions with a white bulb at the end. They can grow to be 20 inches long. The green and white parts of a scallion offer different tastes and uses in different dishes. Leeks look a bit like scallions, but they’re a lot thicker. Leeks also have a green and white end, all of which you can eat. One of my favorite ways to enjoy these is in a potato leek soup. 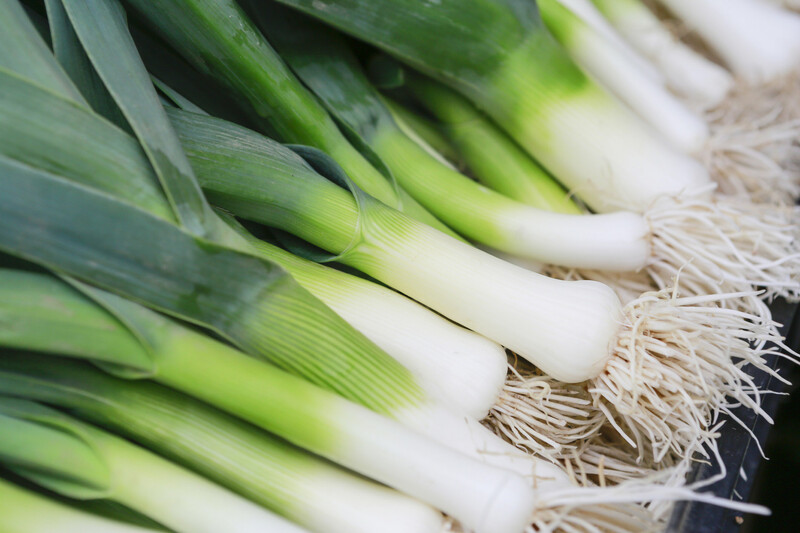 Leeks have been the national symbol for Wales for centuries. 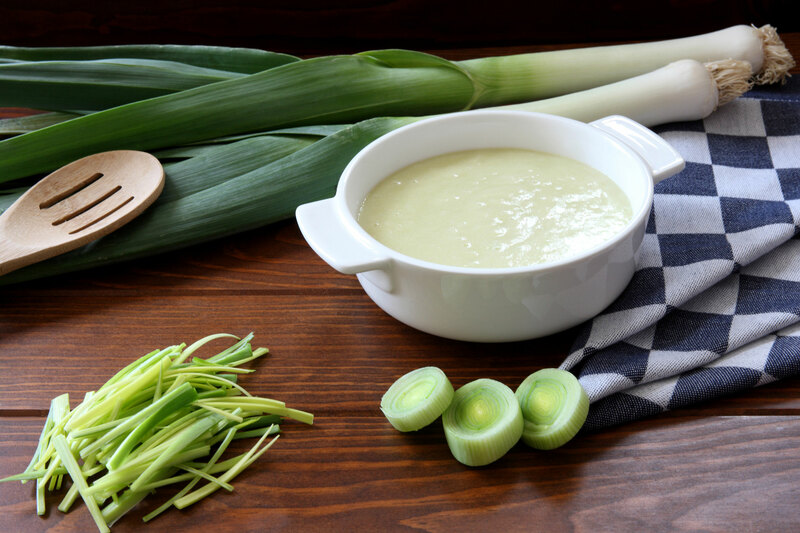 One legend says that soldiers wore leeks in their helmets during a battle against the Saxons. March 1st is St. David’s Day, a Welsh holiday which celebrates the life of their patron saint. To this day, many Welsh people honor the occasion by wearing leeks. Alliums contain sulfur in the form of organosulfur compounds. These compounds have widely known health benefits. For instance, they have antioxidant, antiviral, and antibacterial properties. They have also been shown to help prevent blood clots, be anti-inflammatory, immune-boosting, and potentially anti-aging. This lingering pungency is a characteristic unique to the Allium family, thanks to that high sulfur content I mentioned. Not all Alliums smell or taste quite as strong as garlic and onions. Their strength actually depends on the sulfur content of the soil in which Alliums are grown. In fact, if an Allium vegetable grows in sulfur-depleted soil, the plant would lack this typical trait. Wouldn’t it be strange to eat an onion that didn’t have an onion flavor? The taste and odor that so many of us love about Alliums is the same reason predators in the wild can’t stand them. This zestiness is actually a natural defense system. Alliums release their sulfuric compounds when their tissue is damaged. Have you ever felt your eyes burn or tear up while cutting an onion? Or have you noticed the way your sinuses may instantly clear when you mince a fresh clove of garlic? This is the Allium defense mechanism in action. And it works well in nature to keep predators from eating these plants. At least, until the insect and animal kingdoms figure out how to make use of onion goggles! If you’re the outdoorsy type, this unique property can actually benefit you directly. 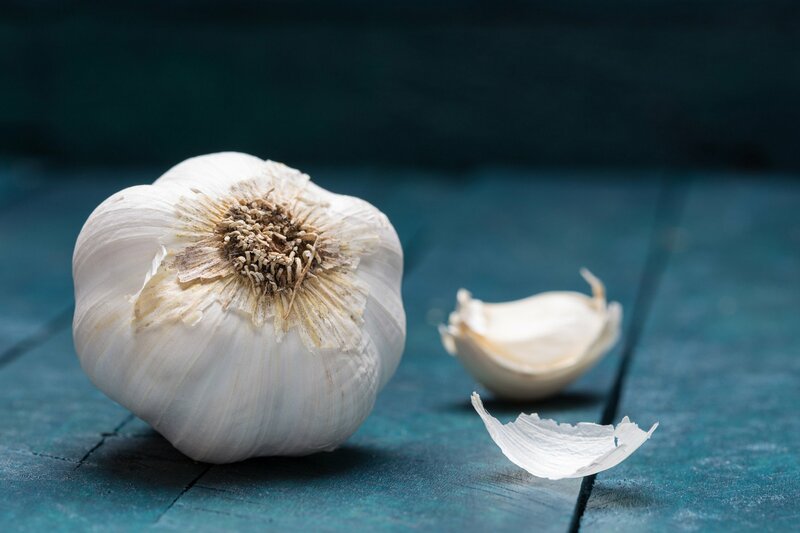 When you eat garlic, your body gives off a scent that ticks tend to avoid — helping to prevent tick bites. Onions, leeks, scallions, and shallots have something else up their sleeve. It’s called the lachrymatory factor — which refers to its ability to make your eyes water. The effect of this enzyme intensifies when you cut or chop them. In addition to their remarkable sulfuric compounds, Alliums provide a variety of vitamins and minerals, including B vitamins, vitamin C, folate, potassium, selenium, and manganese. Onions and garlic are particularly rich in soluble fibers called fructans, which can help promotehealthy gut bacteria. This is one reason members of this vegetable family are so potent at supporting a healthy microbiome. There are many other excellent benefits of eating more Alliums. Let’s unpeel some of these layers. The Allium family offers powerful antioxidants, such as quercetin, which can have applications in treating chronic disease. Quercetin can slow tumor growth. And it’s been shown to be effective in colon cancer treatment. It may also reduce symptoms of bladder infections, help reduce blood pressure, and promote prostate health. It’s also a natural antihistamine. Glutathione is essential for every cell in your body. It boosts your immune system, protects your heart, and helps remove toxins. Eating garlic and onions can be good for your heart. They are known to prevent blood clots, lower triglycerides, prevent plaque buildup in your arteries and have antioxidant properties. Garlic has been shown to lower blood pressure in people with hypertension. Onions may also help to increase HDL (“good” cholesterol), especially when eaten raw. A 2017 study in the Journal of Hypertension looked at the relationship between frequent consumption of Allium vegetables and incidence of cardiovascular disease. The researchers analyzed 3,052 adult men and women for six years, using food frequency questionnaires to evaluate their diet. 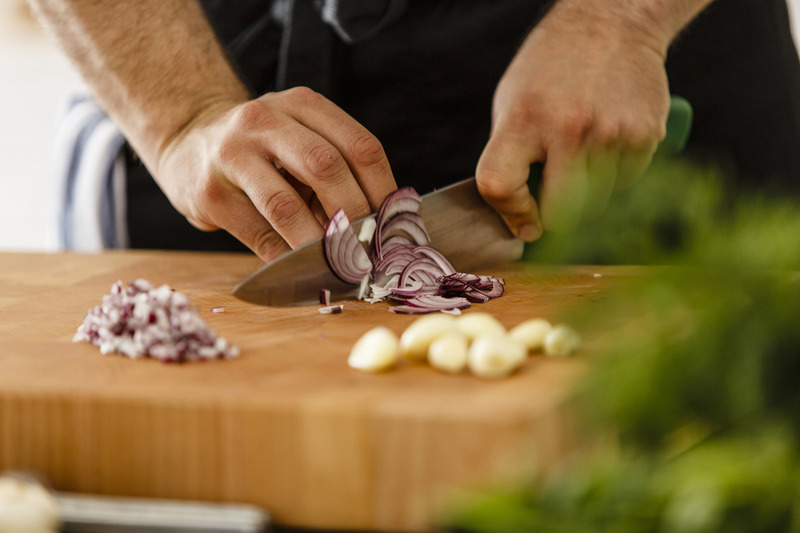 Even with adjustment for potential confounding variables, they found that those who consistently ate more Allium vegetables reduced their risk of cardiovascular disease by a stunning 64%. Studies have shown that pure allicin (one of the compounds in garlic) can be effective against multidrug-resistant strains of E.coli, Candida albicans, and human intestinal parasites and viruses. This is particularly interesting because — amidst a full-blown antibiotic resistance crisis — modern medicine is increasingly ineffective in the face of “superbugs.” Instead, natural substances, such as allicin, appear to be coming to our rescue when pharmaceuticals no longer can. A 2015 study conducted at a hospital in Western India showed that garlic juice was effective against E.coli and Staphylococcus aureus, two bacteria commonly found in hospital settings. A 2011 meta-analysis published in the journal Gastroenterology found that people who ate large amounts of Alliums had a lower risk of gastric cancer. The researchers reviewed outcomes from 21 studies on Allium vegetables and gastric cancer conducted between 1966 and 2010, which involved 543,220 participants. They concluded that high consumption of onion, garlic, leek, Chinese chive, scallion, and garlic stalk has a strong potential for cancer prevention. The European Prospective Investigation into Cancer and Nutrition (EPIC) is a vast and ongoing study of people from 10 different countries. It looks at the impact of nutrition on cancer. So far, it’s found that those who eat more onion and garlic have a reduced risk of intestinal cancer. Other research shows that Allium intake can reduce the risk for prostate, esophageal, breast, and pancreatic cancers. A 1999 study of 234 adults shows that Alliums— particularly garlic, onions, scallions, and chives — reduced risk of esophageal cancer when eaten at least once per week. Researchers in a 2002 study in China also found garlic and scallions especially promising in reducing the risk of prostate cancer in men. And a 2016 study published in the Journal of Breast Cancer found that eating a lot of garlic and leeks could reduce breast cancer risk. Alliums are also great for reducing inflammation. This is one reason why they’re said to have a potential for anti-aging effects. The quercetin in onions can be therapeutic for inflammatory conditions, such as rheumatoid arthritis and relieving painful joints. South Korean researchers isolated thiocremonone, an organosulfur compound in garlic. They found that it displayed anti-inflammatory properties. Heating garlic appears to reduce its allicin activity and anti-inflammatory properties, suggesting that eating raw garlic offers more benefits in this regard. Alliums are accessible and offer health benefits for many people, but they’re not for everyone. IBS — Between 25 and 45 million people in the United States experience Irritable Bowel Syndrome, or IBS. IBS is a gastrointestinal disorder that can cause extreme stomach discomfort and changes in bowel habits. Some of the most popular Alliums — garlic, leeks, shallots, and onions — are very high in fructans, which can, in some cases, trigger IBS symptoms. Alliums and the Ayurvedic Diet — Alliums, specifically onions and garlic, can be strictly off the menu when it comes to the Ayurvedic Diet. The Ayurvedic Diet was created alongside the traditional practice of yoga. Garlic and onions are widely used in Ayurvedic medicine, so why avoid them in the diet? Ayurvedic practitioners believe that onions and garlic fall into a category of foods that increase one’s fiery energy, which takes away from the focus needed to experience healthy emotional balance. I’m not aware of any research studies that appear to back up this particular piece of the Ayurvedic approach. How Can You Enjoy Alliums? Alliums offer delicious flavors to meals. They make your kitchen smell different (love it or hate it, there’s no question you’ll notice it!). And they’re highly versatile. You can use them in soups, sauces, salads, casseroles, atop pizza, in a breakfast scramble, or simply roasted by themselves. Why does bone broth get a lot of attention these days? Try this nutrient-rich, bone-free allium broth. It’s sure to warm your belly. And it might even boost your immune system in the process. Alliums Are Worth Adding to Your Diet (In Most Cases)! 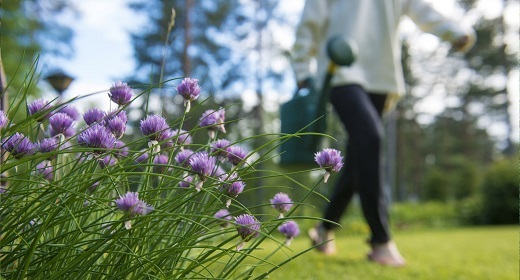 Though some Alliums might make you cry when you chop them, you can take steps to avoid that problem. And it’s worth it! Allium vegetables contain many potent natural substances that are good for your heart, your cells, and your immune system. Also, Allium vegetables are tasty (a little too tasty, some might say). And they’re one of the most affordable and nutritious ways to add flavor and aroma to almost any dish.